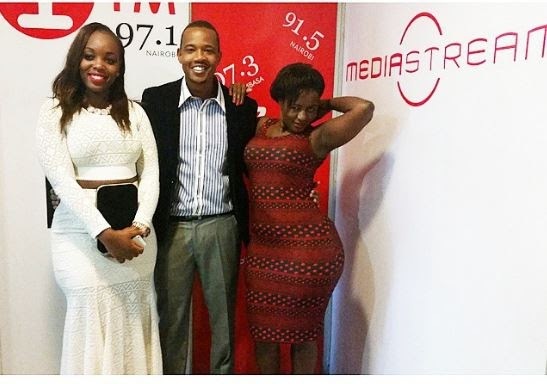 Although he recently got married to the love of his life, this did not stop the One FM host Davidson Ngibuini popularly known as DnG appreciating the curves on two of Kenya’s most curvy women. A couple of days ago, the number 1 hype man hosted Risper Faith and Judy Anyango for an interview on his morning show and there was barely enough room for DnG to pose in the photos. 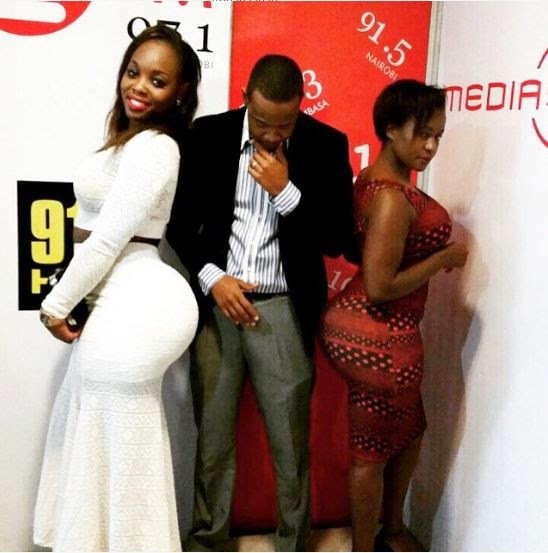 After the interview, the three posed for photos and by the look on DnG’s face, the guy was truly overwhelmed. His co presenter Lulu Saidi also joined in on the harmless fun.